The end of may and beginning of June is the time of flowering of Lily of the valley. This plant attracts not only its appearance and inviting aroma, but also healing properties. The flower is used to prepare medicines. While few people think, Lily of the valley poisonous or not. But improper preparation and the use of drugs based on it and even the inhalation of the aroma of flowers can lead to serious poisoning. Before you find out what the poisonous Lily of the valley, you need to learn to distinguish it from other plants. It has wide leaves broadly. Typically, one instance of them not exceeding three. In the flowering period on a long stalk blooms in 6-20 small, bell-shaped flowers. Inflorescence a one-way brush. The aroma of flowers resembles the smell of Jasmine. After flowering, the plant produces the fruit red-orange color. It contains Lily of the valley seeds spherical. Most of the no more than two. Some time ago, Lily of the valley was widespread throughout Russia. Today he is recognized as a rare plant listed in the Red book. Tearing it is strictly prohibited. For violation of this law will be charged. Lily of the valley is a poisonous plant. And toxic substances are contained in all its parts. 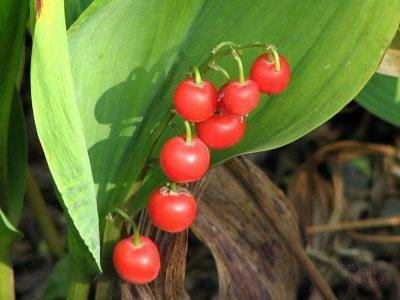 Most often poisoning occurs in children who have tried to taste the berries of Lily of the valley, and also in people who are treated with drugs based on it. The fruit of the poisonous Lily of the valley the most, as they have a large concentration of toxic substances. Part of the plant are cardiac glycosides. In the minimal dosage they have a therapeutic effect. They help to stabilize the Central nervous system, strengthen the process of urine flow, kill pathogens and make the phlegm more liquid. If the human body gets too high dose of glycosides, there is a significant palpitations. As a result of impaired patency of the heart. In addition, the effect of the glycosides leads to disruption of the process of transmission of nerve impulses. A lethal dose of the glycosides is five times higher than therapeutic. One of the most dangerous glycosides becomes convallatoxin. It affects the mucous surface of the stomach. There are signs of acute poisoning. When it is used in large dosage could interfere with the cardiovascular system. Poisonous properties of Lily of the valley due to the presence of steroidal saponins. This is the analog of a glucocorticosteroid. Its use contributes to the development of atherosclerosis, reduce blood pressure and adversely affect the breathing process. Going on nature, tell the child the description of Lily of the valley, and to decline to have his fruit. The only way you will be able to protect him from poisoning. Acute nausea, alternating with vomiting. Reducing the frequency of heart muscle contraction. These symptoms are characteristic of acute intoxication. 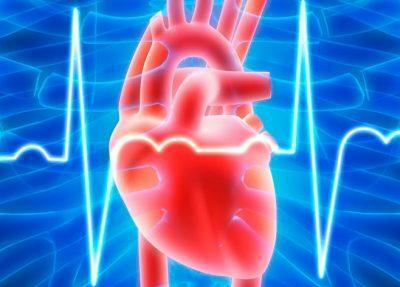 This may reduce blood pressure, confused consciousness. Sometimes hallucinations appear. In severe cases, there is a cardiac arrest. Impaired vision in which all objects acquire a yellow tint. Upon detection of such symptoms should immediately stop taking the drugs and seek help from a doctor. Otherwise health consequences can be fatal. Lavage of the stomach. To do this, use a weak solution of potassium permanganate or salt. The victim should drink a liter of prepared composition. After that you should push him to the root and thereby to provoke vomiting. This procedure was repeated three times. Give the victim the sorbent. It can be enterosgel, smectite, Polisorb and other modern drugs. If they are not, you can do a simple activated carbon. Clean the intestines. This can give the victim a tablespoon of vegetable oil or put a cleansing enema. After delivering the patient to the clinic doctors start active therapy. This applies to atrioventrikuliarna blockade. Special medicines. To restore the water-salt balance in the body prescribe saline solutions. A particular danger of such poisoning are children and the elderly. The situation is exacerbated if the affected kidney disease. In this case, a favorable outcome is possible only if timely, competent medical care. There is no doubt, Lily of the valley berries are poisonous or not. If the child ate it, contact your doctor immediately. Lily of the valley an attractive and useful plant. But its incorrect use or careless handling health consequences can be dire. We should always remember the features of this flower and do not break recommended dosage of drugs based on it.